The hotel is the newest hotel in our market, we opened our doors in January 2006. We are located 1/4 mile East of I-57 at exit 95, 1/2 mile South of the junction of I-57 & I-64. 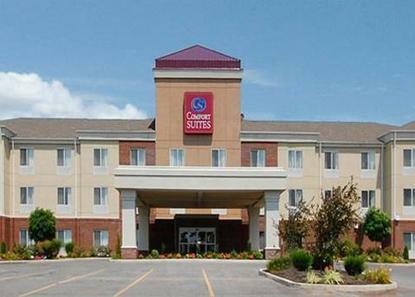 We are an all suite hotel and we feature: deluxe complimentary hot breakfast, free high speed internet access, indoor heated pool, whirlpool, fitness center, conference room, business center, pantry, guest laundry among many extras. We are located close to all the major restaurants and shopping in Mt. Vernon. All Comfort Suites are smoke free.